The beautiful rowan is a popular tree in England, with many having been planted even in suburban areas, particularly in the 80’s. The natural environment for a rowan tree is atop mountains. This makes it a very hardy tree, but also susceptible to a few dangers and rowan tree diseases. Mountains get a lot of rainfall but also have fantastic drainage, therefore, rowans at a lower ground level require extra attention to ensure the soil is not overly wet for them, and to prevent having a sick tree on your hands. The following are some common rowan tree diseases and their warning signs; identifying a sick tree can save your other trees and plants, as well as protecting people and property in the area. It’s important to chat with your local tree surgeons as soon as you see any warning signs that your rowan tree is sick. Being in the same family as roses, rowan tree and particularly susceptible to Fire Blight. The dreaded Fire Blight is, unfortunately, often seen as a death sentence for rowan trees. 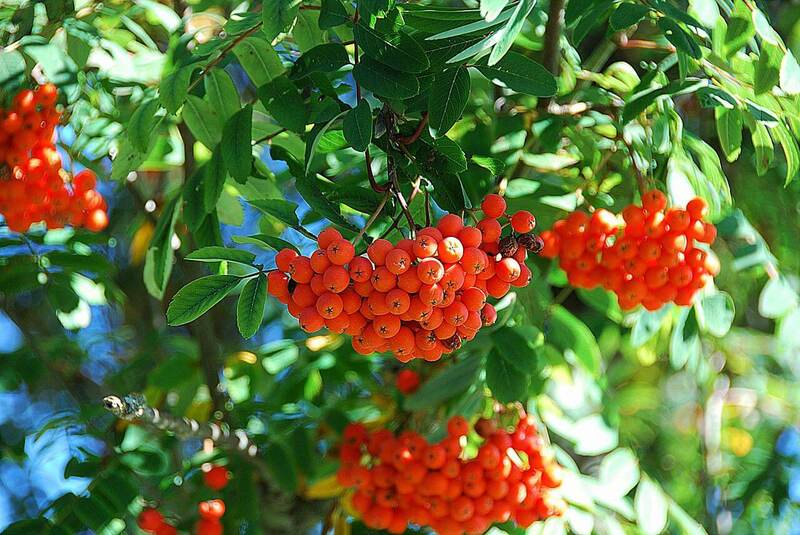 Depending on when it is caught, you might find that with professional help you can save your sick rowan tree. If it cannot be rescued, it is imperative that the rowan tree is professionally chopped down and disposed of, to protect your other plants and trees. The warning signs for Fire Blight include an oozing discharge that often smells sweet; a blighted appearance; cankers developing on the rowan tree; dead flower clusters that turn a brown or black colour. Many plants and trees are sadly susceptible to Crown Gall, and the rowan tree is no exception. You can spot Crown Gall by looking for galls (a kind of strange growth on your rowan tree) particularly in the lower areas of the tree. It infects the tree through the root and trunk and bottom areas and develops these galls to protect the bacterial spores that then develop, causing a sick tree. If you’re concerned about the health of your rowan tree, or think you have spotted either of the above rowan tree diseases, don’t hesitate to call Treesaw and discuss your observations. Our experts are adept at identifying sick tree warning signs and can advise you on the best course of action to either save your rowan tree, or remove it quickly and efficiently to preserve the health of your garden.